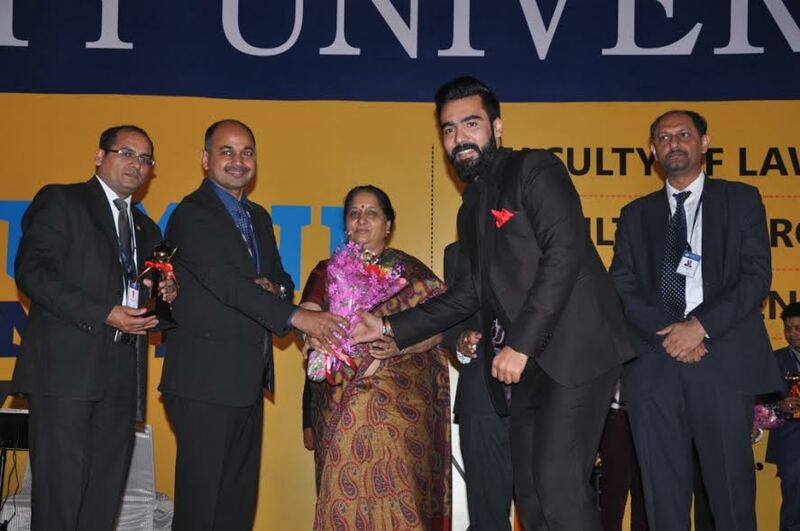 Noida: Thousands of alumni from Domain of Science & Technology, Engineering & Technology, Faculty of Architecture and Planning and Faculty of Law attended the nostalgic and memorable “Alumni Re-union” along with their families at Amity University Noida Campus, Sector 125. The alumni comprised of Engineers, Lawyers, Entrepreneurs, Architects, Scientists and Researchers amongst others. The aim of the Reunion was to foster togetherness and cherish the common bond that alumni share with their alma matter, faculty members and the Institution. The alumni, while interacting with their faculty members, classmates, seniors, juniors and other alumni, went down the memory lane, reminiscing their college days and shared their success stories. All of them evinced confidence, values and ethics inculcated in them at Amity. The meet commenced with every institution presenting a brief overview of the growth, recent developments, achievements and future plans of their respective institution, which was followed by colorful cultural performances by the students. Welcoming the alumni and their families, Dr. (Prof.) Balvinder Shukla, Vice Chancellor, Amity University Uttar Pradesh expressed her joy and exhilaration in welcoming the alumni back in University Campus. She called upon them to frequently visit University and share their experiences and latest developments in the industry with the students which will benefit them immensely. She invited the Alumni to give their valuable suggestions in order to take Amity to another level. Feeling proud of the achievements of Amitians, Dr. Shukla expressed that Amitians have achieved so much globally in diverse fields that has made the name of Amity well recognized. During the occasion, Ms. Vartika- an alumna of Amity Institute of Telecom Engineering and Management (Batch 2003-05), who is currently working as Director, Cellular Operators Association of India (COAI) expressed her delight over the stupendous growth and expansion of Amity within a short span of time. While re-collecting her vivid college memories, she stressed that every single day, she is reminded of her Institute with a sense of deep gratitude for her faculty members and teachers. She averred that the discipline, values, exposure and knowledge gained in college made her transition from academic to the corporate world smooth and speedy. Taking pride in her Institution, she expressed that Amitians are taught to be flexible and adjustable, which make them perfect fit for every job profile in any sector. Mr. Aeraz Mushtaq- an alumnus of Amity Institute of Advanced Legal Research and Studies (2011-13) who is currently a Public Prosecutor in Jammu and Kashmir got nostalgic and recalled various incidents of his academic tenure and thanked Amity for making him what he is today. He attributed his success to the perfect amalgamation of knowledge and values imparted at Amity to each and every student. He stressed that Amity prepares students to be competitive professionals and good human beings who are capable to bring a positive change in the society. Ms. Anita Aishwarya- an alumna of Amity Institute of Advanced Legal Research and Studies, who is currently working as Legal Analyst with Tech Book International Private Limited shared that her journey with Amity has been very amazing , transforming and memorable one. She thanked her Faculty Members for being constant source of motivation and said that the faculty not only guided her throughout academic tenure in the Institution but also during the initial career phase that helped her achieve success in professional life. During the ocassion, Alumni Newsletter, Alumni Chapters and New Features of Alumni Website were launched. Ms. Ankita Jain, Ms. Sam Ahmed and Mr. Piyush Gaba- alumnae of Amity School of Design; Mr. Prakhar Rawat, Ms. Jyotsna Shukla, Mr. Gaurav Rai, Mr. Yogesh Bharadwaj, Mr. Shivam Ahuja and Ms. Vartika Srivastava- alumni of Amity Institute of Telecom Engineering and Management were conferred Amity Alumni Achievers Awards 2017 in recognition to their achievements in respective fields. (Dr.) Alka Munjal. Director, Academics, Amity University Uttar Pradesh, Dr. Ajay Rana, Advisor, Amity Alumni Association; Dr. Bandyopadhyay- Acting Chairman, Amity Law Schools, Dr K. M. Soni. Dy. Dean of domain Engineering & Technology, Amity School of Engineering and Technology, Faculty Members and staff of Amity University were also present during the occasion.